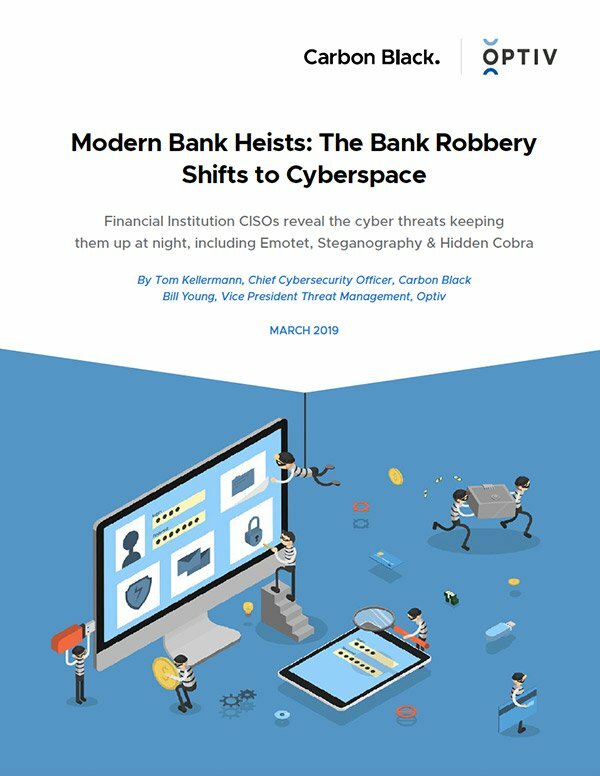 In the second annual “Modern Bank Heists” report, Carbon Black collaborated with Optiv to survey CISOs at some of the world’s largest financial institutions to uncover cyber attack trends. This second annual report highlights how financially motivated criminals have evolved from stagecoaches and stickups to targeted cyber attacks. To better determine how these cyber criminals are hiding behind invisibility cloaks to remain undetected, Carbon Black conducted a survey, comprising input from CISOs of many of the world’s largest financial institutions. The purpose of the survey is to improve telemetry for threat hunt teams and defenders.